Last week while on holiday I read a book called The Silk Roads. Its title hints at the still underappreciated importance of supply chain as a discipline. The lessons it offers about how trade, communication and finance shaped world history will make any supply chain enthusiast smile. Of all 505 pages, however, three (pp 245-247) stood out for the crisp, compelling distillation of how one small nation may deserve recognition as the birthplace of what we now think of global logistics. That nation is the Netherlands. Following a few early years of bold expeditions (the 16th century equivalent of venture-backed startups) things were underway. Something must then have clicked in the collective Dutch consciousness because they quickly instantiated the first coherent global supply chain strategy on earth. 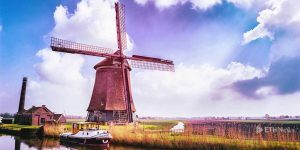 Purpose-built logistics assets – Just like containerization in the mid-20th century or Amazon’s Frustration-Free Packaging today, Dutch logistics excelled because their assets were designed specifically for trade. Their vessels “could carry more cargo, required fewer crew to operate and were therefore cheaper to run.” They had a shallow draft, handled better and “set a new benchmark for commercial shipping.” The right tools make a big difference. Supply chain planning and network modeling – Much of history prior to this Dutch logistics emergence was defined by exploration and adventure – code words for not knowing where you’re going. Eager as they were to make money and blessed with knowledge gained by others, the Dutch “did their homework and were well prepared when they set sail.” In the process they became “world leaders in cartography.” In today’s terms, what the Dutch invented was essentially supply chain visibility, since as Frankopan says, they “knew what they were looking for and where to find it.” Its modern day equivalent might be advanced network simulation, but even more basically the Dutch taught us to love a good forecast. Systems integration and communications – In addition to good maps, the Dutch also compiled “texts that helped explain the vocabulary and grammar of the strange languages that Dutch traders could expect to encounter on their travels.” Long before EDI standards and ERP interoperability was a topic, the Dutch had a grip on what we now think of as master data. Cooperation and risk pooling – Having learned from the English example of chartered companies concentrating risk and reward, the Dutch chose instead to share risk and resources across “as wide a body of investors as possible.” The resulting East Indies Company could command enough financial power to establish and develop the first global hub-and-spoke logistics system based in Batavia (now Jakarta). In today’s world the corollary might be joint ventures for technology platform development or large scale natural resource extraction. Again, the innovation still rings true going forward. Four hundred years later the Dutch are still at it. Rotterdam is one of the most important and technically sophisticated ports in the world. Amsterdam is a critical global finance and business center, likely to gain ground at the expense of London going forward – Unilever’s announcement this week to abandon its dual headquarters in London in favor of a single entity based in Rotterdam being a timely case in point. Also, several Dutch universities consistently rate among the top in supply chain education.